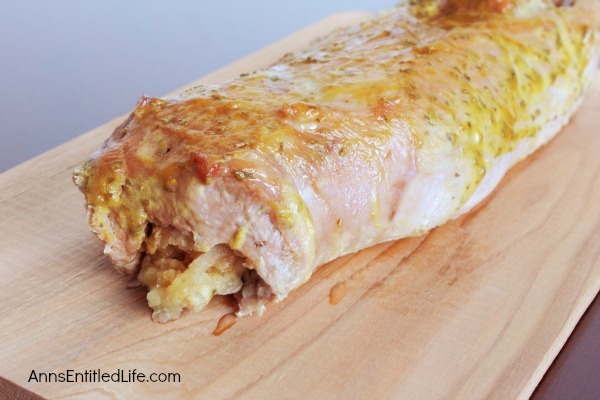 This easy to make, mouthwatering stuffed pork tenderloin recipe is juicy and flavorful. 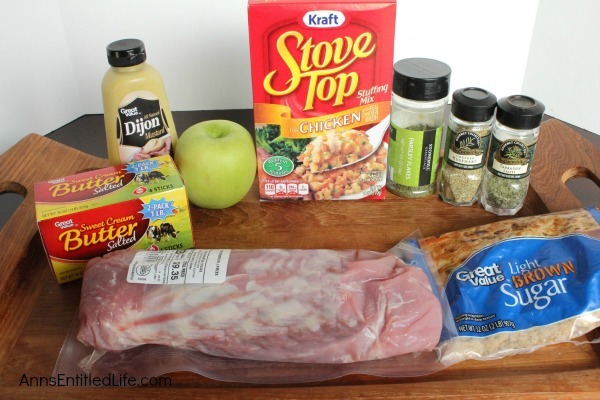 The wonderful combination of spices, the simple stuffing and dressing, all combine for a fabulous pork tenderloin entree. • In a medium sauce pan over medium heat melt the butter. • Add the Apple and cook for 2 minutes. • Add ½ each of the rosemary, tarragon and parsley. 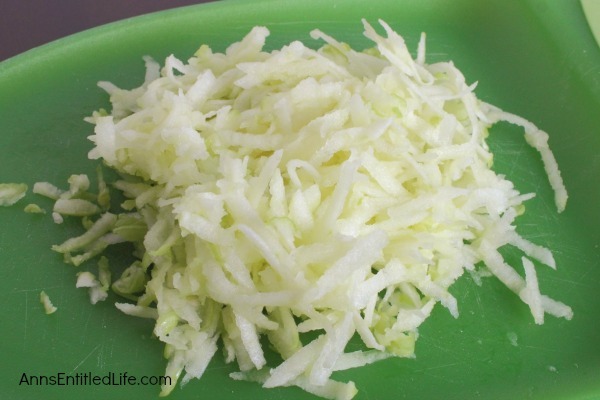 • Add 1½ Cups of water and bring to a boil. • Add the stuffing stir to moisten, cover and set aside. • Preheat oven to 350˚. • Butterfly the Tenderloin by cutting down vertically lengthwise about a 1/3 of the way in from the side of the tenderloin until 2/3 of the way through, don not cut all the way through. • Then cut horizontally to the opposite side of where you started. You should now have a rectangle-ish flat piece of meat. 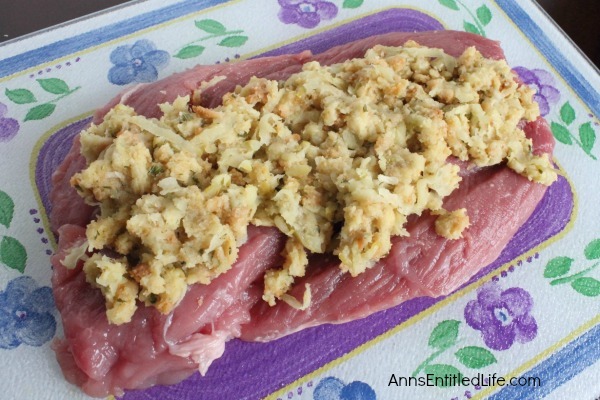 • Spoon the stuffing onto the cut side of the meat leaving a half inch space along the long edges. • Roll the meat along the long edge and make a cylinder. 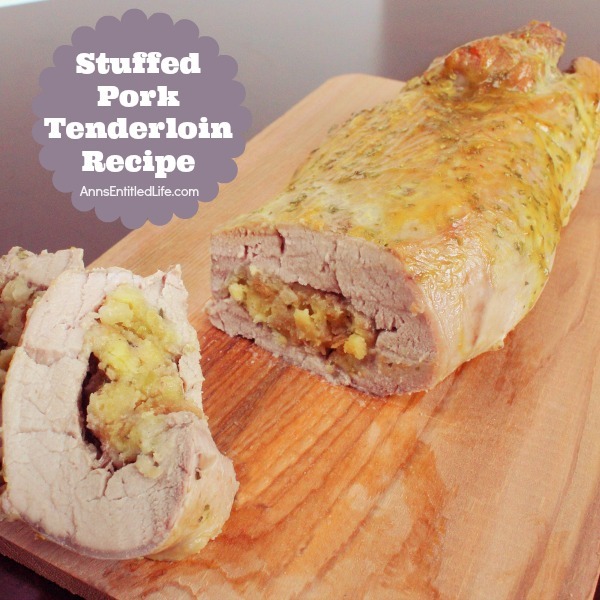 • Place rolled pork tenderloin onto a greased jelly roll pan seam side down and cook at 350˚ until the internal temperature is at 140˚, 25-30 minutes depending on the thickness of the tenderloin. 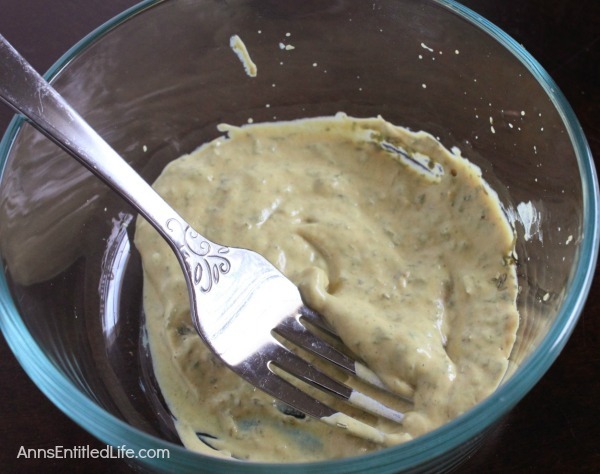 • In a small bowl stir together the mustard, brown sugar and remaining parsley, tarragon and rosemary. • Brush on the meat and continue to cook the pork tenderloin until internal temperature of the pork (not the stuffing) is 150˚. • Remove and cover with foil and let rest 10 minutes. 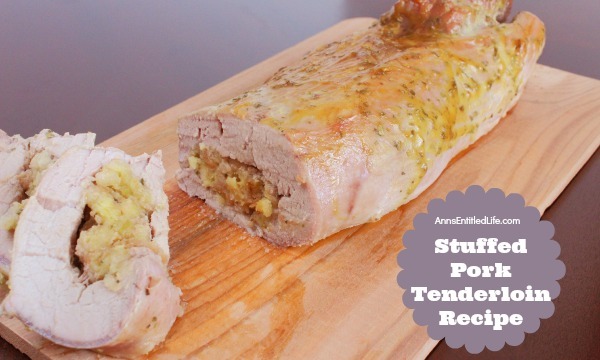 • Place rolled pork tenderloin onto a greased baking sheet seam side down and cook at 350˚ until the internal temp is at 140˚, 25-30 minutes depending on the thickness of the tenderloin. 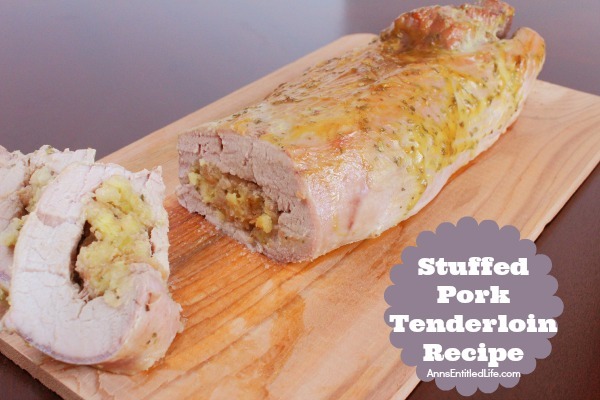 • To print the Stuffed Pork Tenderloin recipe, click here. 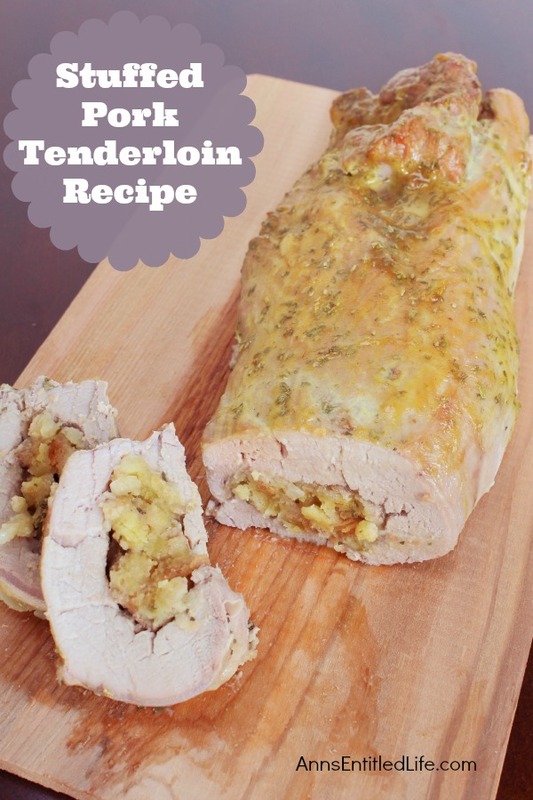 I’ve never tried stuffing a tenderloin, but I bet it’s super flavorful!